NEW Shiseido Men Hydro Master Gel 75ml / 2.5 fl.oz. This forward thinking blend of East and West has always been the foundation for Shiseido. Sharing beauty since 1872. Apply Morning & evening after cleaning & balancing. With this rich, silky cream, ReNeura Technology TM sends internal sensory signals, to make skin optimally responsive to the age-defying benefits of skincare. Brand New and Genuine but packaging is damaged and shop soiled. We do not recommend these are purchased as gifts. The damage to the packaging will include but not limited to the boxes being: Scratched/Squashed/Marked/Ripped/With no cellophane (where a brand uses cellophane). Where the packaging has been extensively damaged we may remove the box in order to ship the product safely. Other Animation & Sci-Fi. Health & Beauty. Daily Life. Military Action Adventure. Very soft tissue with good sebum absorption. Size : 120 sheets. Skin TypeAll Skin Types. Diet Light. Expert Sun Protection Lotion WetForce For Sensitive Skin & Children SPF 50 UVA 100ml. Developed with exclusive WetForce technology for water-resistant effect. Formulated with ingredients selected especially for sensitive skin sun-sensitive skin & children's skin. This item is New & Unused. NEW and 100% GENUINE. The Royal Gift Box. 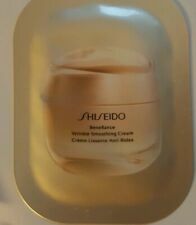 NEW Shiseido Concentrate Facial Nourishing Cream 30ml 1 oz. This leaves your skin looking and feeling supple and nourished. Perfect for dry or delicate skin that needs extra care. 10 X 5ML BOXED TUBES. EXTRA CREAMY CLEANSING FOAM. NO HEAVY BOTTLE. EASILY FITS IN HAND LUGGAGE. RENEWING SERUM. THE SKINCARE. ALL NEW - UNUSED. 30ml travel size, sample tubes. Hydro Master Gel. APPLY TO FACE TO GIVE A SMOOTHER LOOK WHEN TAKING PHOTOS SELFIES ETC. EASILY FITS IN HAND LUGGAGE. Supports the skin's natural defences. For normal, dry and very dry skin. To use: Apply mornings and/or evenings to the cleansed face. What we are striving for. 1 X 5ML EXTRA CREAMY CLEANSING FOAM. CLEANSING FOAM MOUSSE. EASILY FITS IN HAND LUGGAGE. NO HEAVY BOTTLE. Leaves skin with a velvety radiance and visibly diminishes wrinkles, fine lines and dark circles. NEW Shiseido Ibuki Quick Fix Mist 50ml / 1.6 fl.oz. Blended excess product over the entire face using the hands. SHISEIDO IBUKI GENTLE CLEANSER. 9 X 5ML SAMPLES. NEW Shiseido Men Active Energizing Concentrate 50ml / 1.6 fl.oz. After two weeks contours appear lifted, fine lines and redness are reduced, and skin looks healthier. It's sunscreen! It’s makeup! It’s both—and more. Who is it for. 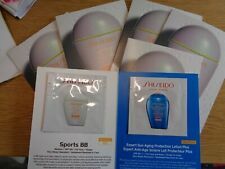 6 X EXPERT SUN AGING PROTECTION LOTION FOR FACE & BODY. Key Benefits. Shake well before use. Dispense a small amount on your finger, dot onto cheeks, and smooth over the skin working from the center of the face outward. Pureness Refreshing Cleansing Sheet (Unboxed) 30sheets. Pureness Refreshing. Cleansing Sheet (Unboxed). NEW Shiseido Bio-Performance LiftDynamic Cream 50ml / 1.7 oz. NEW Shiseido Essentials Refreshing Cleansing Water 180ml / 6 fl.oz. Eliminating dry, rough and oily skin, it reduces the appearance of pores with a dewy texture that blends into the skin. To use: Apply to the face after cleansing or shaving. Skin is left hydrated, more supple and brighter. Set includes: - Power Infusing Concentrate 30ml / 1 fl.oz. - FREE Ibuki Eye Correcting Cream 5ml / 0.17 oz. NEW Shiseido Essentials Perfect Cleansing Oil 300ml / 10 fl.oz. NEW Shiseido Men Skin Empowering Cream 50ml / 1.7 oz. Shiseido Future Solution LX Extra Rich Cleansing Foam 125ml / 4.7 oz. All our products are 100% genuine. 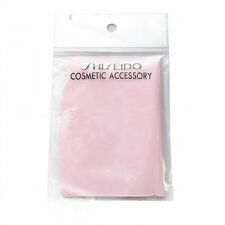 NEW Shiseido Essentials Creamy Cleansing Emulsion 200ml / 6.7 fl.oz. To use: Apply to the face and work into a lather. Remove with a tissue or rinse with water. Convenient on-the-go & powder-coated blotting papers. Formulated with a powerful oil-absorbing ingredient. NEW Shiseido Benefiance WrinkleResist24 Balancing Softener 150ml / 5 fl.oz. Fine lines are reduced, and skin feels smooth and supple. To use: Apply to a cleansed face with a cotton pad. NEW Shiseido Benefiance Extra Creamy Cleansing Foam 125ml / 4.4 oz. This cleansing foam easily works into a rich lather with a light, relaxing scent. Skin feels soft, smooth and comfortable after each use. To use: Work into a rich lather and massage over your face. 6 X 7ML TUBES. BALANCING SOFTENER LOTION. WRINKLE RESIST 24. EASILY FITS IN HAND LUGGAGE. NEW Shiseido Essentials Perfect Cleansing Oil 180ml / 6 fl.oz. 10 X 7ML TUBES. BALANCING SOFTENER LOTION. WRINKLE RESIST 24. EASILY FITS IN HAND LUGGAGE. NEW Shiseido Benefiance WrinkleResist24 Energizing Essence 30ml / 1 fl.oz. NEW Shiseido Ibuki Smart Filtering Smoother 20ml / 0.67 fl.oz. Absorbing excess sebum from the skin the Smart Filtering Smoother reduces the appearance of pores for a smoother, sleeker appearance. Pat lightly until blended. NEW Shiseido Bio-Performance Glow Revival Cream 50ml / 1.7 oz. Your skin appears even with a silky, soft feel.